Djibouti (HAN) April 4, 2014: – Opinion By.BISHOY RAMZY, Cairo Post- CAIRO: Ongoing debate between Egypt and Ethiopia over the Grand Ethiopian Renaissance Dam project is heightening concern over the future of relations between the two countries. Egyptian experts have said the dam poses clear threats to water security, while Ethiopian experts have been insisting that Egypt’s hard-line position lacks consideration for other countries and comes at the expense of Ethiopia’s right to development. He said during his tenure he observed there was “little debate on the subject of the Nile,” as it was the least controversial issue in Egypt. He said now, the Palestinian issue and the Nile represent top priorities for Egypt’s foreign policy agenda. “They sanctified the Nile during the era of pharaohs and worked to maximize its utilization to build their civilization,” she said. He said such threats are pushing decision-makers in Egypt to uphold old treaties. Egypt has insisted on maintaining treaties signed during the colonial era to ensure its historic right over Nile waters. The most prominent ones are a 1929 treaty that provided Egypt with the right to veto any projects on the Nile,and 1959 treaty which was signed between Egypt and Sudan and ensures Egypt 55.5 billion cubic meters of Nile water annually. An Ethiopian diplomat told The Cairo Post that Egyptians insist on upholding old treaties that guarantee their share of the Nile water “at the expense of the rights of downstream countries,” adding that the Egyptian government refused to sign a Cooperative Framework Agreement (CFA) to provide more water from the Nile to other countries because it lacked recognition of their old treaties. “Why would there be a CFA, if it was to recognize the older accords, which were unjust?” he asked. Burundi, Ethiopia, Uganda, Rwanda, Tanzania and Kenya have signed the agreement. Another major point of contention regarding the CFA is that it requires a majority vote for the passing of decisions on the viability of projects, he said, while Egypt requires such decisions to be based on consensus. 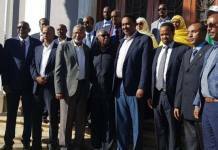 Egyptian experts told The Cairo Post that direct negotiations with the Ethiopian side have failed and reached a dead end due to what some described as Ethiopia‘s obstinacy. Meanwhile, Ethiopian officials and experts have said similar things in the press about Egypt. “There is a need for mediator to bridge the gap of difference between the two countries,” Shabana said. Sudanese Foreign Minister Ali Karty expressed his country’s readiness to mediate between Egypt and Ethiopia to reach a compromise and resolve the current crisis, during his recent visit to Egypt on March 3. He has even submitted a proposal to perform the role of a mediator, which is problematic because Sudanese officials have expressed their support for the dam, Shabana said. “We need a neutral mediator,” he said. The Ethiopian side has said in the press that Egyptian diplomatic efforts aim to “internationalize” the crisis by pressuring donor countries and organizations to suspend their financial support for the project. Idris, Ethiopia’s former ambassador to Egypt, said during his interview with the Ethiopian Reporter that his government does not depend on external assistance regarding development projects. The Renaissance Dam is being built without foreign support, he said. 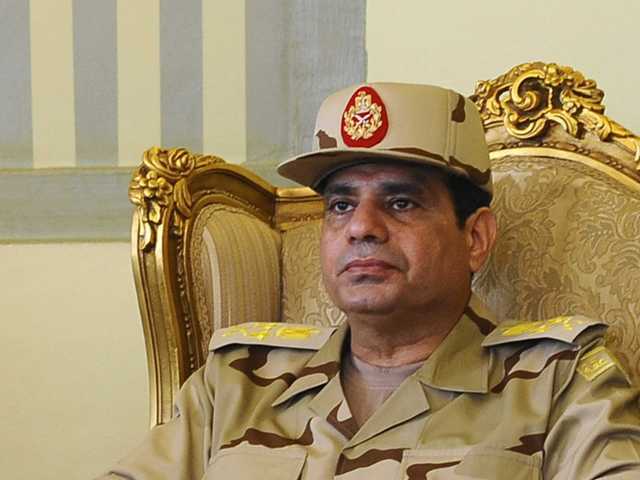 “Egypt has embarked on a campaign to internationalize the dam. Personally, I do not understand the rationale behind this effort,” he said. Taweel, the director of the African Unit at the Al-Ahram Center for Political and Strategic Studies, said that Egypt has turned to a number of Gulf states to mediate between the country and Ethiopia. She said a number of Gulf states may wield influence over Ethiopia due to their increasing investments in the country, adding such countries could pressure the African state to offer concessions. Ambassador Ahmed Refaat, Beni Suef University president and professor of international law, said in a statement to The Cairo Post that the Egyptian government should turn to the international judiciary, even though it does not issue binding verdicts. “If the government turns to the United Nations General Assembly, it could refer the case to the International Court of Justice. This would temporarily suspend the dam’s construction,” he said. “There is no law that would tell the upper riparian nations to be a bystander while lower riparian nations exploit a resource that they all share,” he said. Refaat said that international river laws provide upstream countries with veto rights over projects that could be established on the river and could harm their interests. With our e-mail alerts, you will get everything from breaking news about Ethiopia to the days most popular videos, drama, health tips and stories sent straight to your inbox.